Connemara is a region in County Galway, Ireland and is known for its famous green marble. 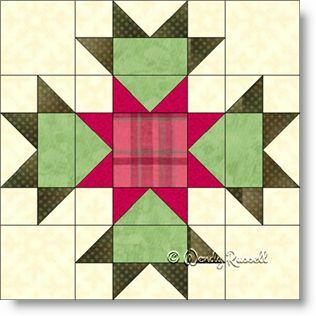 The Connemara quilt block is a simple nine patch comprised of squares, rectangles, half square triangles and flying geese units. Two very different quilts are illustrated to show you variations on an on point setting of the quilt blocks. What will your imagination come up with?